takes place in Letterkenny, Donegal from 28th May – 10th June, 2017. 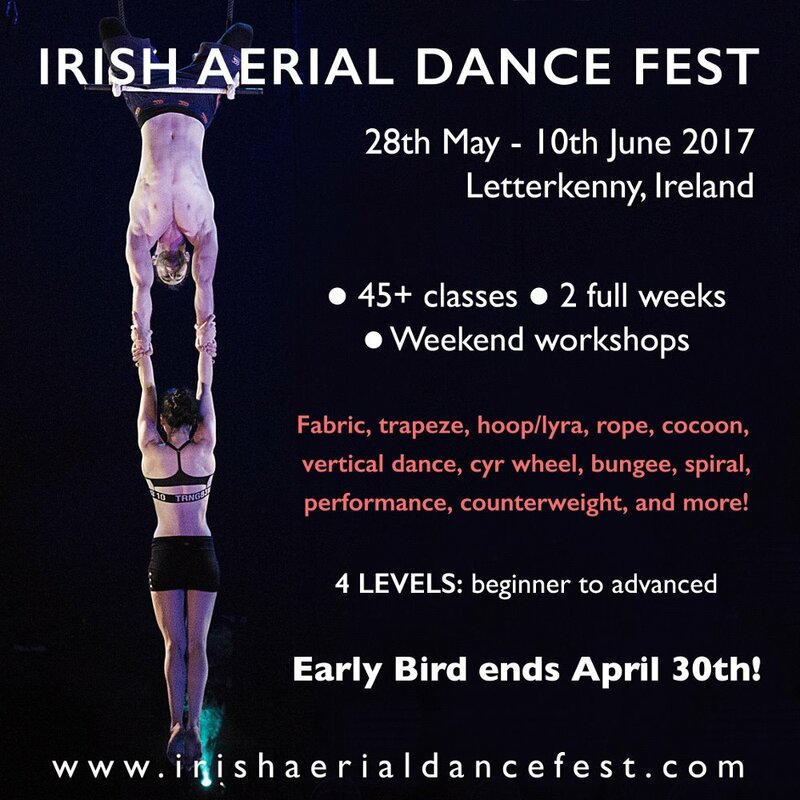 Classes are suitable for all levels from absolute beginners to advanced aerialists. on your ticket if you book before the 30th April.